I had never heard of Clover (then again, I just learned about Hinge this year) but it’s clearly the most amazing dating app of all time. Users only go on first dates to chain restaurants, if the company’s recently released data (and subsequent mocking) is to be taken at face value. These daters also appear to either be children or very lame adults since more than half of men (51%) prefer restaurants and nearly an equal number of of women (52%) like meeting at coffee shops when everyone knows you’re supposed to drink until you cry on first dates, not eat Southwestern or Tex-Mex egg rolls (though technically you could do both at Cheesecake Factory or Chili’s). Only 16 of the top 30 locations exist in NYC anyway, so it’s all kind of irrelevant. Since you asked, I’ve only been on four dates in the past year–all firsts and lasts–and I now blame it on the choice of location: Baz Bagels, Niagara, Simit Sarayi, Bushwick Country Club (oh, and someplace to be determined between Jackson Heights and Forest Hills tonight which I may just bail on). Things would be very different if that tri-level Times Square Olive Garden that Unbreakable Kimmy Schmidt only succeeded in making seem more appealing played a larger role in meeting strangers. I will marry the first person who suggests a date at Sizzler. One of the six illustrates where chain restaurants with regional names actually dominate geographically. 1. Who calls A&W A&W All American Fast Food? 2. Clearly, Dallas BBQ is missing. A second set of charts shows that in the food court world Taco John’s has the whitest customers (85%) while Great Khan’s has the largest concentration of Hispanic diners (49%). And completing this cycle of ethnic profiling, Asians don’t really eat much at the mall but love the Nordstrom cafe more than most. The mall food court may be dying, but casual dining chains won’t become relics without a fight. This week alone Bennigan’s declared a comeback, Red Lobster ditched off-brand pork chops for seafood tacos and “trend-forward” brown butter, Carl’s Jr.’s made craft beer-battered fish for Lent, and Pizza Hut (UK) is serving alcoholic milkshakes in Mason jars. And no, bacon-wrapped pizza doesn’t count. There’s no doubt that Americans are increasingly into spicy food. Look no further than the mainstreaming of Sriracha and chipotle everything. How many decades has that stat about salsa outselling ketchup been floating around? Food service research firm Technomic solidifies this with figures showing that last year the number of Americans who prefer their food “very spicy” tipped over to the majority (54%) for the first time. The Wall Street Journal provides some examples of packaged food brands getting into the spicy food game like Kraft going beyond pepperjack with Hot Habenero cheese and Bumble Bee adding jalapeños to its gourmet line of canned tuna, but the premise that spicy food creates loyalty is sort of bizarre (as is lumping in Cracked Dijon Mustard Ball Park hot dogs when really the story is about heat, not strong flavors). I did learn one thing, and it’s that young people and Latinos aren’t the only ones to blame in this crusade against blandness. Old folks and their deadening taste buds must also take some responsibility. While looking for something else completely, I stumbled upon the existence of the term “grocerant,” which really just means young people buying more prepared food in-store and ordering restaurant takeout and delivery more often (I don’t think it includes frozen Arby’s curly fries, however). “Palate” was also used correctly to describe these sophisticated types, but sophistication only goes so far. While it may seem like the entire universe is already hip to things like Sriracha, if not totally over it and onto the next fiery thing, 63% of Americans had no idea what rooster sauce even was and only 18% had ever tried it. Only ramen burgers and cronuts had less recognition. Then again, more than half (55%) also didn’t know what fusion cuisine is, a style so dated in merited a comeback article in The Wall Street Journal, so perhaps these respondents were just hopeless. (Even my mom who lives in a trailer at the Oregon Coast texted me about cronuts over the summer.) The only category with a majority of first-hand experiencers was the vague chicken-only restaurant. I have no idea what that is–KFC? Zaxby’s?–or how it qualifies as a new trend. Do tell, if you know. Restaurants can try wooing diners all they like with exquisite millennial buns, Satisfries and Italiano burgers, but according to research firm NPD only 30% of Americans ordered a new-to-them item on their last restaurant visit. 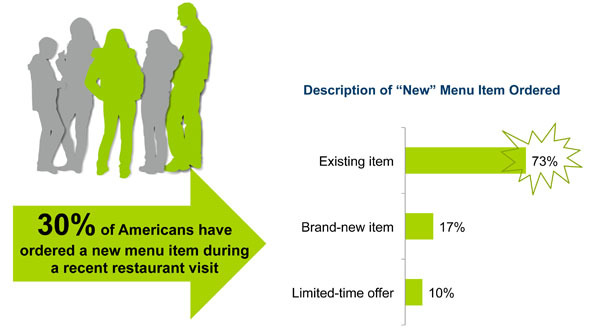 And among that group, 73% of the never-tried foods were already on the menu, neither new nor limited-time promotions. 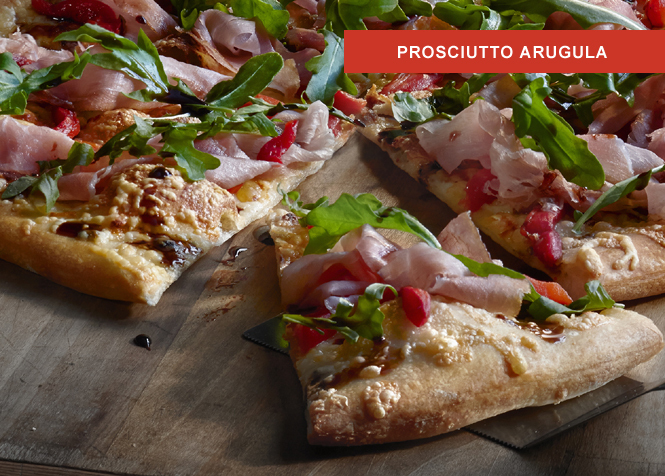 One can only wonder how that new and scary pizza by the slice thing will work out for Pizza Hut. I wonder if people call 30 days ahead for Fadó reservations? I didn’t think it needed to be said that dark meat is better than light meat. And now the WSJ has an adorable chart to prove its growing popularity. I don’t have anything else to say in the matter (well, I did glance in the freezer this morning and when faced with thighs or breasts, made the obvious defrosting choice) I just wanted an excuse to post this chart. Economic takeaway: Americans’ waking up to the crappiness of white meat is pushing up the costs of legs and thighs, which boo. I eagerly await these new four-legged birds. Pie is the hardest dessert to make from scratch, say 59% of Americans in Crisco's National Pie Survey. But you must have pie because Pillsbury found that it's the "number-one treat for the holidays." Ninety-four percent of Americans will eat a slice of pie during the holidays, and no shock, pumpkin is the favorite. I was actually surprised that 59% of holiday bakers are under 35, though. Not surprisingly, the makers of Hormel™ Country Crock® sides managed to get a majority of Americans (51%) to admit that they prefer sides over the main dish. I agree that turkey is blech, but I don't know if I'm persuaded to pick up a tub of bacon ranch mashed potatoes yet. According to the National Shooting Sports Foundation close to 2.8 million pounds of game meat was donated by hunters to the less fortunate last year—and this is vaguely tied to Thanksgiving. By region, 46.1% came from the Midwest, 45.7% from the South, 7.2% from the Northeast, and a pathetic 1% from the West. Maybe they’re just hoarding venison for themselves in Oregon (they would). The Hearth, Patio & Barbecue Association (HPBA) reports that 15% of Americans cook part of their Thanksgiving meal outdoors, up 9% from 2009. If I have it my way, this year I will be dining out for Thanksgiving (as opposed to last year's sitting on the couch alone watching TV all day, no different than any Thursday–I'm doing it right now) and so will 14 million Americans, the National Restaurant Association reports. That's only 6% of Americans overall, though. What Does Your Favorite Tapa Say About You? I couldn’t help but click into the press release, “Complimentary Breakfast and In-Room Coffee Service Sway Consumers' Hotel Selection, Says Technomic” because I wanted to see how I fit in with the surveyed consumers. You know, in a what your favorite movie dad says about you way (partial to Ghost Dad, myself). The nicer the hotel, the less likely it will be that they provide an in-room coffee maker and I like my crappy, watery cup before heading out into the world for a real coffee and am too cheap to order room service. But going down to Holiday Express level just causes heartache because there’s no way in hell I’m going to wake up between 6am and 9m to take advantage of free scrambled eggs, bacon and rolls. That is not a perk. Tapas-style foods?! What does that even mean? I’m heading to San Francisco tomorrow and if I don’t see any goat cheese-stuffed meatballs in the lobby of Parc 55, my Priceline blind bid result, there is going to be hell to pay. (No in-room coffee maker, so it must be classy). Oh, the in-house restaurant, which may or may not be anywhere near the lobby appears to serve “bar bites” including potstickers, sliders and empanadas. American tapas, if I’ve ever seen them. Thankfully, they didn’t use the T word. Palate/palette abuse is a fact of life—caring only causes pain—instead, tapas patrolling might be where it’s at. When is a tapa not a tapa? Likely, if it involves marinara and melted mozzarella or is simply a mini-burger or tiny serving of babyback ribs. Is it Spanish? If no, then you must call it a small plate or give it some other vague nomenclature. I would not recommend appeteaser. While hay-smoked bitters are most certainly on the horizon for certain segments of the population, the fastest growing beverage in the chain restaurant world is tap water. I love tap water, but it makes me sad to think of all those garnimals languishing behind the bar at Cheeseburger in Paradise. Those Skinny Pirates won’t be drinking themselves. People who prefer their water in bottles, have chosen Aquafina as the brand of the year. 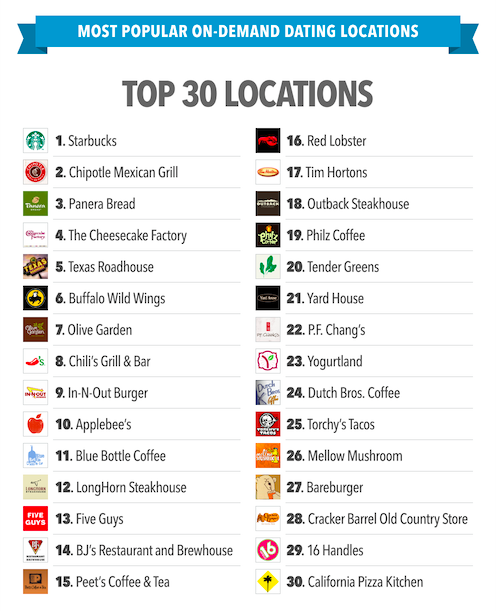 Panera tops the casual dining list and Subway wins for fast food. Sandwiches rule. And for reasons I can’t discern, Spanish-dominant Hispanics eat breakfast out more than their English-speaking counterparts. The first meal of the day makes up more than a third of the Spanish-speakers’ total dining occurrences. Not surprisingly, English-speakers, Hispanic or not, are kind of the same. Lunch wins by a smidge. I wonder who eats more breakfast burritos.